Time: Networking from 5:15 p.m. - 6 p.m. Program speaker from 6 p.m. - 7 p.m.
Topic: "Recent Developments in Georgia Fiduciary Law"
Professor Mary F. Radford is the Marjorie Fine Knowles Professor of Fiduciary Law at the Georgia State University College of Law in Atlanta, Georgia. Her teaching areas include Wills, Trusts & Estates, Estate Planning, and Elder Law. Professor Radford is an Academic Fellow of the American College of Trust & Estate Counsel (ACTEC) and, in 2011-12, she served as that organization’s President. 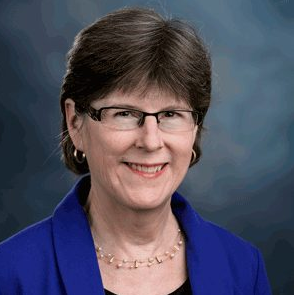 Professor Radford served as the Reporter and principal drafter for the State Bar of Georgia committees that drafted the 1998 Revised Georgia Probate Code, the 2005 Revised Georgia Guardianship and Conservatorship Code, and the 2010 Revised Georgia Trust Code. Professor Radford is the author of Redfearn: Wills & Administration in Georgia (Thomson Reuters, 2018-19); Trusts & Trustees in Georgia (Thomson Reuters, 2018-19 ed. ); and Georgia Guardianship and Conservatorship (Thomson Reuters, 2018-19 ed. ), as well as numerous law review articles and other scholarly publications. For directions to the Georgian Club, click here.